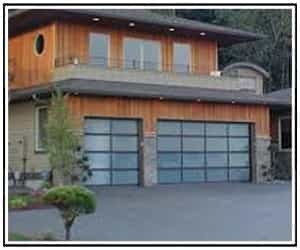 For a truly modern home design, the residential full view garage doors are the perfect choice for a dramatic statement. 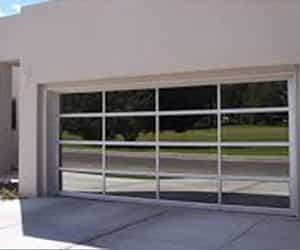 The contemporary aluminum and glass full view doors from Clopay and C.H.I. blends the industrial look with an elegant architectural design. Overhead Garage Door, LLC offers many window options to control the amount of natural light in and level of privacy from the exterior. The aluminum is available in multiple finish options, including powder coating in a variety of color options to match perfectly with your home’s contemporary colors and architectural design features.